I feel like these snuck on me very quickly this year, but it’s also a Monday not even halfway through December, so it’s pretty early compared to what it usually is. It’s hard to know what shows will strike a chord with voters this year, since there are four – “Stranger Things,” “Westworld,” “Atlanta,” and “Divorce” – that seem very likely, and a handful of others that could also do well. I’m curious to see how much of Emmy 2016 will be ported over here, like the affinity for “The Americans” or Tatiana Maslany’s win, and, as always, eager for what I hope will be great surprises. Since I made my predictions, I relocated Thandie Newton to the lead race rather than supporting, freeing up a slot for Constance Zimmer, another Emmy nominee, in the supporting category. 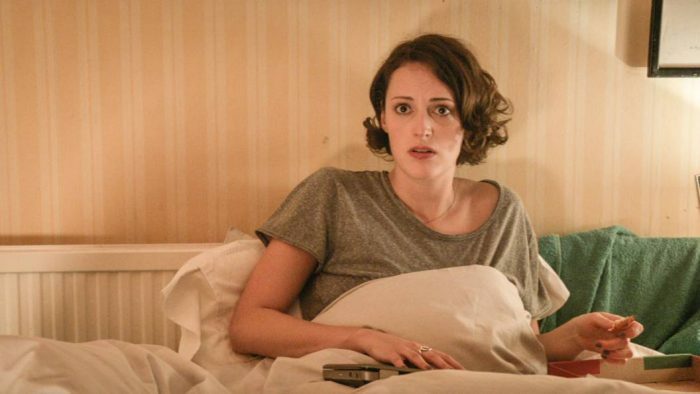 I’m rooting for Phoebe Waller-Bridge and her fantastic show “Fleabag” to do as well as possible. I’d love to see some really great surprises and to see the Globes honor shows that are still good and not just brand-new, but I’m not too confident. More thoughts once we have the nominees! Check back all day tomorrow for reactions by category, and leave your thoughts in the comments! Film predictions are available over at Movies With Abe.